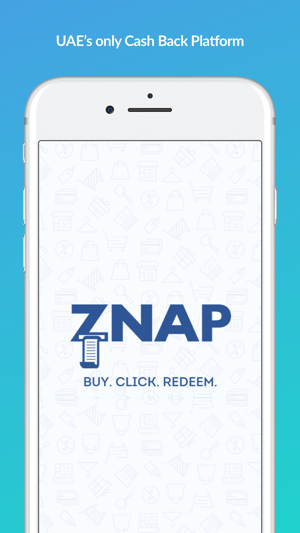 Get the best deals & earn cash back on your favorite brands with Znap! It’s FREE to sign up and you can start saving right away. 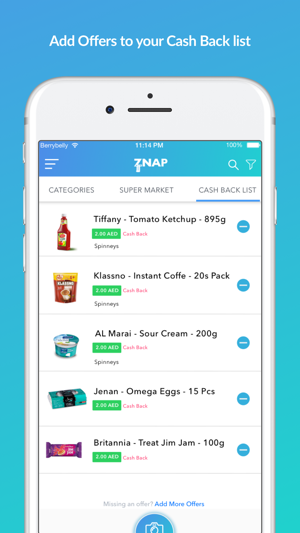 Znap is the #1 cash back rewards app to help you put more savings into your wallet! Search through hundreds of local offers available every week on items you already buy. Sign up now and claim your exclusive welcome offers at your favorite stores. 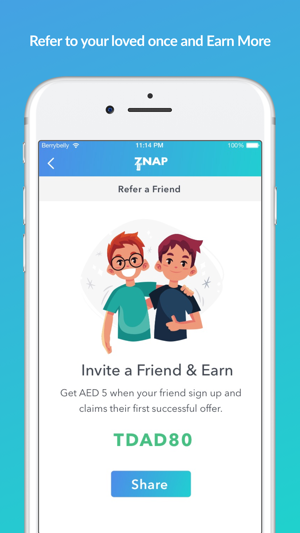 Earn more with Znap today! 4. 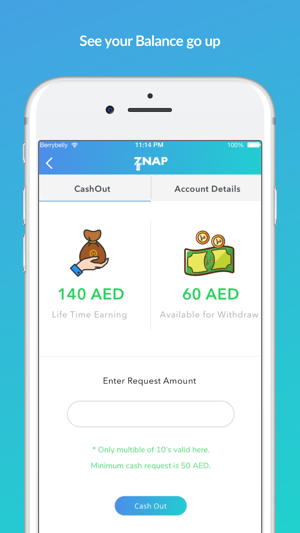 Get your money – Once you reach AED 50 in savings, you can cash out! 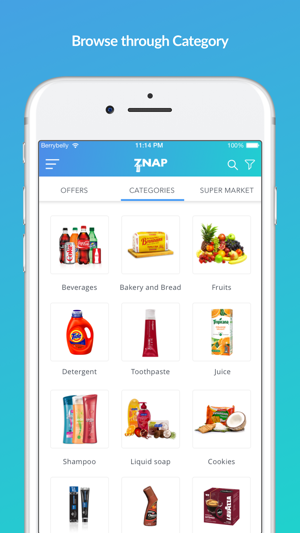 - Browse offers, find deals, buy your favorite brands, and get cash back! Stop spending time flipping through massive coupon booklets to find good deals. Earn cash back savings when you shop at your favorite stores. 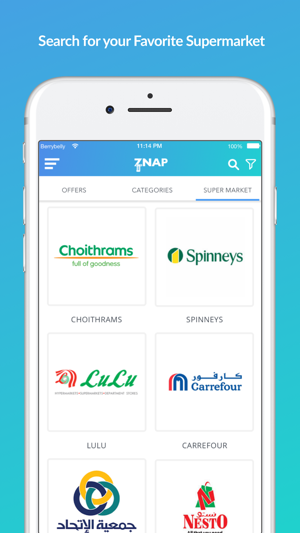 Start saving on groceries with Znap to put more money in your wallet! One of a kind. 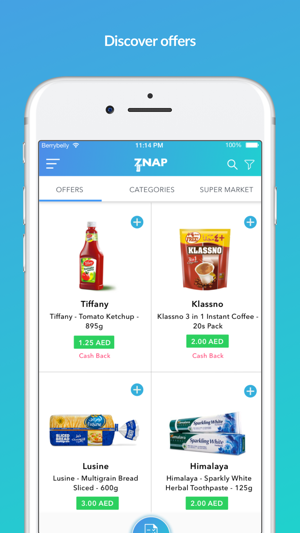 Helps saving on grocery on a weekly basis. 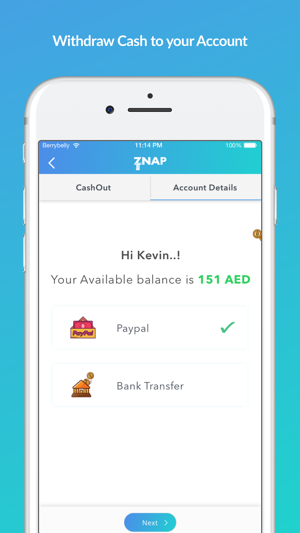 Just got my AED 130 transferred to my bank account today.